"Can carbon fiber parts actually be manufactured to be lighter, stronger, corrosion resistant and still cost 10%, 20%, even 30% less cash than aluminum and steel?" Recently, I interviewed Anthony, chief composites engineer for Illstreet composites who has over 30 years of experience in Composites Engineering . It took some convincing to get his attention away from doing computer models and analysis on exciting carbon fiber projects but I finally got him to sit down and set the record straight with some hard facts and evidence to answer the questions below so KEEP READING because it will be quite some time before I can steal his attention again. Me: At Illstreet you make sure every project that goes out is lighter than when it came in. Most projects that are sent in are made either from steel or aluminum. How is it that you can guarantee 100% that its carbon fiber counterpart will be lighter but just as strong or stronger?Tony: What most people don't realize is that with a steel or aluminum part you are wasting about 50% of the material being used. With carbon fiber we are able to create a stress analysis to show us exactly where the material is needed to carry the weight load. Not only does using less material keep the weight down but carbon fiber itself is a light material. 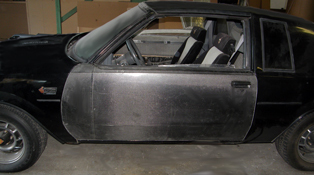 Generally carbon fiber parts are 70% lighter than steel, 50% lighter than aluminum and 30% lighter than fiberglass. Of course, anyone with a question about how carbon compares to what their part is made of right now should call me at 877-696-4455. Me: Ok, but does less material limit your design ability or canvas to work with? Tony: No no no of course not. 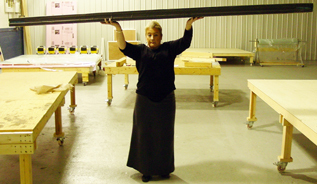 As long as we put the material in the right place where the load is going to be it can be designed however you want it. Plus carbon fiber looks great and shows customers your product uses cutting edge technology which equates to more cash in YOUR pocket! Me: So once something is recreated with carbon fiber how do you know this thing is going to hold up in the "real world"? Tony: (Laughs) In the "real world" carbon fiber has been tested more than any other material. There have been TONS of studies on corrosion, crack growth, every kind of stress and thermal and electrical conductivity. From the results, steel and aluminum clearly don't have anything on Carbon fiber. It doesn't corrode and has very low signs of fatigue (much lower than most metals), also when tested for crack growth it proves to have a natural crack stopping ability. Me: Carbon fiber has my vote so far but what about the thermal conductivity? It's a black material so I bet that gets hot fast. Tony: Actually it has low thermal conductivity and transfers heat as well as electricity pretty well. I'll give you a hands on challenge. Take a carbon fiber pole and a steel one out in the hot summer sun for an hour or so, then go and see which one you can hold onto longer. Me: I'll just take your word on it, you are the composites engineer after all. So you have made a lot of valid points but I know carbon fiber is cutting edge technology and I have heard it is very expensive so whats the secret for how are you able to manufacture products cheaper than steel or aluminum ? Tony: Well, I can't say it is ALWAYS less expensive, but it is less expensive at least 90% of the time. Like I mentioned before, we use only the materials NEEDED to make a structurally sound carbon fiber part, but also the way carbon fiber parts are fashioned we are able to consolidate the amount of parts we need to assemble. That in itself will save you time which then lowers your costs of labor and materials, but the real advantage is what I'm about to tell you next. The lower fatigue and crack resistance mean less returns or replacements for the customer and everyone likes to keep customers happy while staying in line with the latest technological advances. For example, just recently the coast guard has removed its first generation composite boats from the water after 60 years of defending our nations coast line. Not because the boats are falling apart, but for hull design updates and outdated equipment on board. Its been proven that over time carbon fiber doesn't lose its "mojo" strange as it may be its "mojo" is thought to increase over time. After recieving our carbon fiber planks we thoroughly tested them and found that they were better than our steel planks by leaps and bounds.-S. Abrahm Also the planks started out as 6 pieces welded together but with carbon fiber we combined all 6 pieces and made one continuous mold therefore you get a solid finished product made from carbon fiber. Me: Wow, that's impressive. Not only do you not have to worry about corrosion or getting burned but you have light, strong and aesthetically appealing parts that are cheap! "Who would of thought that carbon fiber could be such a GAME CHANGER?" Now that everyone is sold on why this is such an AWESOME product how do you get started reinventing your product out of carbon fiber? Now that you've read this interview, undoubtedly you'll pick up the phone and call 877-696-4455 to see how carbon fiber can improve YOUR product. Illstreet manufactured a series of dial tables for my manufacturing company I was ecstatic with the outcome. 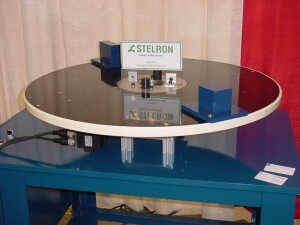 Illstreet's carbon fiber rotary indexer table lowered the weight of my table by 329lbs (85% weight reduction). It increased production by 45% and saved us gobs of money on the smaller indexer we are able to run now. Amazing value!" We can't move our products around easily and Jim just hurt his back and filed worker's comp! Certain demographics are unable to lift our product with ease and always return it! My product has been around for quite a while with no new innovations and my competitors are leaving me behind! I want my product to look like it's a 21st century product. If it doesn't stay with the times people will stop buying it for new technology and I'll be out of business. Business has been great this year and I need to increase production speed! Metal corrodes in our factory and I replace it every darn year! 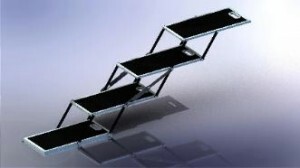 -We can even do a digital image of how great your product looks in carbon fiber! Once the engineering is finished we move into creating an amazing prototype for you to show off. Now you know how pain-free the process is, you know the amazing characteristics of carbon fiber and you know we have the experience and resources to take YOU to the next level. Don't wait any longer! Call us now to get started revolutionizing your ideas!